Dat KiD K.I. aka ZoeRaldo aka The Gray Haired Bandit interviews H2O whom is the founder of Ballin 4 Peace. TheKingIndeed.com team was LIVE on location covering the Ballin 4 Peace Bowling edition charity event. Dat KiD K.I. aka ZoeRaldo aka The Gray Haired Bandit interviews media personality Tarae Rose. Tare is young however she is focused on launching her media personality career. Dat KiD K.I. aka ZoeRaldo aka The Gray Haired Bandit was Live on location during the Ballin 4 Peace bowling edition interviewing VH1’s Reality TV star Thalia. Dat KiD K.I. aka ZoeRaldo aka The Gray Haired Bandit was Live on location during the Ballin 4 Peace bowling edition interviewing Hip Hop artist Johnnie Floss. Dat KiD K.I. aka ZoeRaldo aka The Gray Haired Bandit interviews Mr G whom was Dr Sebi‘s right hand man and personal photographer & videographer. Mr G discusses his amazing journey with Dr Sebi and does not believe he died of natural causes. Dat KiD K.I. aka ZoeRaldo aka The Gray Haired Bandit was Live on location interviewing actor Francisco Burgo during Lunden’s Fashion Night Out event. Dat KiD K.I. aka ZoeRaldo aka The Gray Haired Bandit was Live on location in Queens at Elmcor Sports facility interviewing Miles Davis also known as Rashid. Dat KiD K.I. aka ZoeRaldo aka The Gray Haired Bandit was Live on location in the Bronx interviewing some members of the Pink Panther Clique during the Grand Opening of Duverge Auto Group. Dat KiD K.I. aka ZoeRaldo aka The Gray Haired Bandit interviews CASH MONEY RECORDS Rich Gang artist Lennox Cartel. Dat KiD K.I. aka ZoeRaldo aka The Gray Haired Bandit was Live on location in the Bronx interviewing Film Executive Luc Stephen during the Grand Opening of Duverge Auto Group. Dat KiD K.I. aka ZoeRaldo aka The Gray Haired Bandit was Live on location interviewing celebrity fashion stylist LOOKS BY LUNDEN during Lunden’s Fashion Night Out event. Dat KiD K.I. aka ZoeRaldo aka The Gray Haired Bandit was Live on location in Miami chopping it up with the infamous REDD EYEZZ from Zoe Pound. Redd Eyezz is indeed a one stop shop for all artists. Dat KiD K.I. aka ZoeRaldo aka The Gray Haired Bandit interviews Actress/Comedian/TV Host Aziastar. TheKingIndeed was LIVE on location covering the Ballin 4 Peace event. Dat KiD K.I. aka ZoeRaldo aka The Gray Haired Bandit interviews Hip Hop artist Grafh. Dat KiD K.I. aka ZoeRaldo aka The Gray Haired Bandit was Live on location in North Miami interviewing Shabazz the OG. Shabazz is indeed a social media Icon whom seldom holds his tongue regarding tough topics. Shabazz opens up on a broad variety of topics. Dat KiD K.I. aka ZoeRaldo aka The Gray Haired Bandit interviews DJ Gmoney aka Mr8000 during the BARZ III event. DJ Gmoney is the exclusive DJ during the Third annual Barz event. Dat KiD K.I. aka ZoeRaldo aka The Gray Haired Bandit interviews CASH MONEY RECORDS producer D ROC. D ROC loyalty is to BIRDMAN aka STUNNA, his team SUPER EARZ & to the Original Zoes HAPPY & REDD EYEZZ. Dat KiD K.I. aka ZoeRaldo aka The Gray Haired Bandit interviews rapper Marz Munny. TheKingIndeed was LIVE on location covering the Ballin 4 Peace Bowling edition charity event. Dat KiD K.I. aka ZoeRaldo aka The Gray Haired Bandit interviews hip hop artist Bobby Garcia & Fathers Alive In The Hood movement. Dat KiD K.I. aka ZoeRaldo aka The Gray Haired Bandit interviews singer & dancer Cartier Conway. TheKingIndeed.com team was LIVE on location covering the Ballin 4 Peace Bowling edition charity event. Dat KiD K.I. aka ZoeRaldo aka The Gray Haired Bandit interviews media personality Reemo Meerak of Reem TV. TheKingIndeed.com team was LIVE on location covering the Ballin 4 Peace Bowling edition charity event. Dat KiD K.I. aka ZoeRaldo aka The Gray Haired Bandit interviews Ahmed from Power Is Industry. TheKingIndeed.com team was LIVE on location covering the Ballin 4 Peace Bowling edition charity event. Dat KiD K.I. aka ZoeRaldo aka The Gray Haired Bandit interviews radio personality LadyBug. TheKingIndeed.com team was LIVE on location covering the Ballin 4 Peace Bowling edition charity event. Dat KiD K.I. aka ZoeRaldo aka The Gray Haired Bandit interviews radio personality Harlemz First Lady while at Next Up 2 Da Stage event. Dat KiD K.I. aka ZoeRaldo aka The Gray Haired Bandit interviews Actor Jermel Howard. TheKingIndeed was LIVE on location covering the Ballin 4 Peace Bowling edition charity event. Dat KiD K.I. aka ZoeRaldo aka The Gray Haired Bandit interviews Hip Hop artist Fred the Godson aka Gordo. Dat KiD K.I. aka ZoeRaldo aka The Gray Haired Bandit interviews Hip Hop artist MDot Porter. Dat KiD K.I. aka ZoeRaldo aka The Gray Haired Bandit interviews community activist and rapper Mysonne & media host Mocha Marie while at Next Up 2 Da Stage event. Dat KiD K.I. aka ZoeRaldo aka The Gray Haired Bandit interviews singer/songwriter VINA LOVE. Dat KiD K.I. aka ZoeRaldo aka The Gray Haired Bandit interviews Celebrity Wardrobe Stylist PILAR SCRATCH. Dat KiD K.I. aka ZoeRaldo aka The Gray Haired Bandit interviews Popperazzi Po whom is focused on making good music. Dat KiD K.I. aka ZoeRaldo aka The Gray Haired Bandit interviews AISHA HALL co-author of The Pink Panther Clique. After serving time in Federal prison Aisha Hall is determined to evolve into a top selling author and bonafide Hip Hop artist. Dat KiD K.I. aka ZoeRaldo aka The Gray Haired Bandit interviews DuDollaz aka Shooter Shane from the hit web series Money & Violence. DuDollaz runs his own Hookah company called DYS Hookah. Dat KiD K.I. aka ZoeRaldo aka The Gray Haired Bandit interviews H2O discussing the future of H2O Music. Dat KiD K.I. aka ZoeRaldo aka The Gray Haired Bandit interviews Hip Hop artist Josh Jacobs while attending his listening party of album Purple Skies. Dat KiD K.I. aka ZoeRaldo aka The Gray Haired Bandit interviews Hip Hop artist BOBBY GARCIA while attending Wendy Williams All White Party. Mocha Marie interviews Emac Da Host moments after winning the Most Influential Media Host award during the Next Up 2 Da Stage event. Dat KiD K.I. aka ZoeRaldo interviews Big Rock aka Rockness 1/2 of Hip Hop duo Heltah Skeltah while attending Wendy Williams All White Party. Big Rock pays homage to his brother SEAN PRICE aka Ruck. Dat KiD K.I. aka ZoeRaldo interviews Hip Hop artist D.Chamberz representing Coney Island Brooklyn while at the Next Up 2 Da Stage event. Dat KiD K.I. aka ZoeRaldo interviews General Steele of Smif–N–Wessun while attending Wendy Williams All White Party. Steele respects the Hip Hop culture and explains why. Dat KiD K.I. aka ZoeRaldo interviews TREACH during Naughty By Nature‘s 25th Anniversary Party. Dat KiD K.I. aka ZoeRaldo interviews the creators and cast members of the web series PROJECT HEAT while attending Wendy Williams all White Mixtape Party. Dat KiD K.I. aka ZoeRaldo interviews radio personality Heather B while attending Wendy Williams all White Mixtape Party. Dat KiD K.I. aka ZoeRaldo interviews bonafide actor Jermel Howard of the STARZ hit series POWER and Quincy Luzunaris whom is President of Kredit Koncepts Financial. Both of these gentlemen are giving back to incarcerated men and women by assisting them with their credit and finances. Dat KiD K.I. aka ZoeRaldo interviews Cesil G whom is a wellness & fitness Life Coach discussing his brand G Fitt and its many perks. Dat KiD K.I. aka ZoeRaldo interviews Brooklyn’s Hip Hop artist MANI THE MOGUL. Black Hand Chaz puts her under his wing. Dat KiD K.I. aka ZoeRaldo interviews Battle Rapper PHAROAH from URLTV. Dat KiD K.I. aka ZoeRaldo interviews Hip Hop artist MALACHIuALLreadyKNOW in Times Square New York. Dat KiD K.I. aka ZoeRaldo interviews celebrity chef Cory Sims whom cooked for Oprah Winfrey, Jay Leno and Treach from Naughty by Nature just to name a few. Dat KiD K.I. aka ZoeRaldo interviews veteran radio personality MIKE the MODERATOR discussing his new project THE WELL MODERATED PODCAST. Dat KiD K.I. aka ZoeRaldo interviews TONI CAMILLE whom is the creator of The Line Up Show aired on DTF radio. Dat KiD K.I. aka ZoeRaldo reporting LIVE for duty at Jimmy’s NYC. ZoeRaldo LIVE Interviewing Jimmy and Benzino as they discuss their love and dedication to New York Knick great Charles Oakley. Dat KiD K.I. aka ZoeRaldo interviews Brand Ambassador and owner of PlayBook MG Marie Driven. Dat KiD K.I. aka ZoeRaldo interviews SUNSHINE SMITH–WILLIAMS aka SUNNY MONEY whom is a bonafied author & Community Leader. Dat KiD K.I. aka ZoeRaldo interviews actor REGGIE ON THE MOVE. Dat KiD K.I. aka ZoeRaldo interviews DJ Curencee while at Play Lounge. Dat KiD K.I. aka ZoeRaldo interviews Mr Gooon as he discusses his Burgundy movement & spits freestyle bars of flames. Dat KiD K.I. aka ZoeRaldo interviews Mr THOROPLATED Promotions himself whom is a media marketing grinder. Dat KiD K.I. aka ZoeRaldo interviews G aka G-Money for TheKingIndeed.com. G is the face and promoter of Falucka Lounge every Thursday night. Dat KiD K.I. aka ZoeRaldo STRUGGLES to interview radio personality CRAIG ALLEN because he was too busy discussing CHARLAMAGNE THA GOD. Dat KiD K.I. aka ZoeRaldo interviews hip hop artist YUNG TURF from SouthSide Jamaica Queens. Yung Turf is sponsored by the Almighty DrinkCup Celebrity movement. Dat KiD K.I. aka ZoeRaldo interviews Jimbo discussing his Guns Down Life Up campaign. Dat KiD K.I. aka ZoeRaldo interviews Fam Fa–Miill formerly from the Hip Hop group Rottin Razkals. Dat KiD K.I. aka ZoeRaldo interviews Hip Hop artist D.Chamberz from Coney Island Brooklyn. Dat KiD K.I. aka ZoeRaldo interviews veteran rapper turned Activist Du Kelly aka DoItAll from the legendary rap group Lords Of The Underground. Dat KiD K.I. aka ZoeRaldo interviews Sadat X of the veteran hip hop group Brand Nubian for TheKingIndeed.com. Sadat X discusses his influences and the need of education towards the new school. Dat KiD K.I. aka ZoeRaldo interviews Hip Hop artist Fred the Godson for TheKingIndeed.com while at Own The Effen Stage event. Dat KiD K.I. aka ZoeRaldo interviews comedian extraordinaire ARDIE FUQUA. The veteran comedian bounces back after an almost fatal car accident with Tracy Morgan. Dat KiD K.I. aka ZoeRaldo interviews DJ Scripz of The Haitian Polo Documentary for TheKingIndeed.com. Dat KiD K.I. aka ZoeRaldo interviews Doc for TheKingIndeed.com. Doc is in Times Square NYC discussing his Back To The Future Time Machine Delorean vehicle. Dat KiD K.I. aka ZoeRaldo interviews CHAZ of Black Hand Ent for TheKingIndeed.com. Dat KiD K.I. aka ZoeRaldo interviews veteran security personnel SEAN MOORE aka Superman. This “Man Of Steel” is INDEED a role model as a father and Sean Moore remains focused & successful while wearing many Grind hats. Dat KiD K.I. aka ZoeRaldo interviews TREACH from the legendary group NAUGHTY BY NATURE for TheKingIndeed.com. It has been over 20 years that we have lost Tupac and TREACH continues to keep him alive. Dat KiD K.I. aka ZoeRaldo interviews JIMMY the founder and owner of GET SOUL restaurant & bar. For PETER GUNZ this is his second home. Dat KiD K.I. aka ZoeRaldo interviewed veteran Comedian & Actor Godfrey for TheKingndeed.com. Godfrey is a MUST SEE comedian. Dat KiD K.I. aka ZoeRaldo interviews Samantha from Love & Hip Hop New York for TheKingIndeed.com. Sam sets the record straight regarding her relationship with Mendeecees Harris and wants everyone to know that she is NOT a dead beat mom. Dat KiD K.I. aka ZoeRaldo interviewed TRAY CHANEY aka POOT from the hit series THE WIRE right after he performed his Original Music at SOB‘s. Dat KiD K.I. aka ZoeRaldo interviewed HAVOC of the Infamous MOBB DEEP for TheKingIndeed.com. Havoc discusses his new movie ventures and working with Kanye West. Dat KiD K.I. aka ZoeRaldo interviewed Reemo of REEM TV RADIO for TheKingIndeed.com. REEM TV RADIO broadcasts from Damatrix Studios Network & Reemo is Indeed climbing up the charts regarding being an On Air Radio Personality. Dat KiD K.I. aka ZoeRaldo interviews K-Boogie for TheKingIndeed.com. K-Boogie runs Spanish Fly Media specializing in Photo shoots & Music Videos. Dat KiD K.I. aka ZoeRaldo interviewed DuDollaz aka Shooter Shane for TheKingIndeed.com. DuDollaz is an actor whose character is Shooter Shane on the hit web series Money and Violence. Dat KiD K.I. aka ZoeRaldo interviews CHRISSY MONROE for TheKingIndeed.com. Chrissy shares her strong beliefs regarding Love, Relationships & Dating. Dat KiD K.I. aka ZoeRaldo interviews Haron Hargrave aka H2O for TheKingIndeed.com. Mr H2O orchestrated yet another event at Blackthorn 51. Dat KiD K.I. aka ZoeRaldo interviews MISS NANA for TheKingIndeed.com while at Hyatt Court Newark New Jersey. Dat KiD K.I. aka ZoeRaldo interviewed PRESIDENT ELLA for TheKingIndeed.com while at Blackthorn 51. Dat KiD K.I. aka ZoeRaldo interviewed JUVENILE for TheKingIndeed.com. The veteran Pioneer rapper JUVENILE discusses his latest projects, his son Young Juve & UTP. Dat KiD K.I. 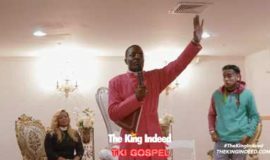 aka ZoeRaldo interviewed Miami rapper FOREIGN for TheKingIndeed.com. FOREIGN is Indeed more than just a rapper-FOREIGN is an entertainer & entrepreneur. Be on the look out for Foreign Lifestyle apparel. Dat KiD K.I. aka ZoeRaldo interviewed Mula Management for TheKingIndeed.com. Mula Management is a One Stop Shop for any artist or producer that is trying to advance his or her career. TheKingIndeed.com & Dat KiD K.I. aka ZoeRaldo interviewed Dallas rapper ERREON LEE. He is Indeed humble but a beast when it comes to delivering quality music. TheKingIndeed.com & Dat KiD K.I. aka ZoeRaldo interviewed Pork N Beans Hip Hop artist PROJECT STACKS. TheKingIndeed.com & Dat KiD K.I. aka ZoeRaldo interviewed the Powerful Team GMF in Dade County Miami. GMF not only brings forth great music but their entire Team is WINNING. TheKingIndeed.com & Dat KiD K.I. interviewed Little Haiti’s General REDD EYEZZ. Discussing his everyday Grind dealing with promoters, artists and Cash Money RICH GANG. TheKingIndeed.com & Dat KiD K.I. was honored to interview singer/song writer extraordinaire Toni Menage immediately after Toni Menage & band So Disrespectful performed to a packed audience at NYC’s BB Kings. TheKingIndeed.com & Dat KiD K.I. interviewed Danielle Beckom while at City Winery in Soho New York City. TheKingIndeed.com & Dat KiD K.I. interviewed Hip Hop artist RiqDaKid whom was born in Brick City & grew up in ILL Town New Jersey. Riq Da Kid created the movement called ILL CITY & 1/3 of the infamous 050 Boyz. TheKingIndeed.com & Dat KiD K.I. was honored to interview Papa Jube whom is NYC’s top promoter & producer. Papa Jube is a veteran regarding the music industry. TheKingIndeed.com & Dat KiD K.I. interviewed Harlem’s own BBOD. Their success from Love & Hip Hop New York has not changed them one bit. TheKingIndeed.com & Dat KiD K.I. interviewed the ever so humbled song writer, record producer & soul singer DWELE. TheKingIndeed.com & Dat KiD K.I. interviewed New Jersey native Prince AK. TheKingIndeed.com & Dat KiD K.I. interviewed street legend H Warbuckz just hours before he had to report to a Federal Penitentiary. Pay Attention to the REALNESS. TheKingIndeed.com & Dat KiD K.I. interviewed DWI whom is the most influential DJ & the founder of Damatrix Studios Network. TheKingIndeed.com & Dat KiD K.I. interviewed AMINA BUDDAFLY from Love & Hip Hop. Amina clearly refuses to have more children by her husband PETER GUNZ & is allergic to managers. TheKingIndeed.com & Dat KiD K.I. interviewed SHABAZZ. Discussing his extreme impact regarding artist development & success in the Music Industry. TheKingIndeed.com & Dat KiD K.I. interviewed Reemo of REEM TV RADIO. TheKingIndeed.com & Dat KiD K.I. interviewed BLACK SOUL‘s front man Antwon as he discusses why his music & brand is simply the BEST. TheKingIndeed.com & Dat KiD K.I. interviewed veteran musician & singer Robin Andre in New York City’s West Village. Robin Andre remains humble as he discusses his past with the Fugees. TheKingIndeed.com & Dat KiD K.I. interviewed the CREEP himself PETER GUNZ from Love & Hip Hop.Peter Gunz discussed his love life & just how authentic his role is on the hit series Love & Hip Hop. TheKingIndeed.com & Dat KiD K.I. interviewed DWI & his team The Rise Of The Sentinels after they rocked the crowd at the world famous SOB’s in NYC. TheKingIndeed.com & Dat KiD K.I. interviewed Miami rapper ARMUZIC at the infamous QUAD Recording Studios in NYC. ARMUZIC clearly separates himself from other rappers & is well connected in the music industry. [PART I] TheKingIndeed.com & Dat KiD K.I. had the pleasure of interviewing Tara Wallace from LHHNY. Tara openly discusses exactly what she feels about Peter Gunz. [PART II] TheKingIndeed.com & Dat KiD K.I. had the pleasure of interviewing Tara Wallace from LHHNY. Tara openly discusses exactly what she feels about Peter Gunz. [PART I] TheKingIndeed.com & Dat KiD K.I. interviewed the infamous DWI, whom is a Pioneer of Internet Radio, New York’s most influential Producer & is the mastermind behind Damatrix Studios. [PART II] TheKingIndeed.com & Dat KiD K.I. interviewed the infamous DWI, whom is a Pioneer of Internet Radio, New York’s most influential Producer & is the mastermind behind Damatrix Sstudios. TheKingIndeed.com & Dat KiD K.I. caught up with Legendary Zoe Pound member REDD EYEZZ discussing his Lifestyle and his street credentials that paved the way for the former gangster. TheKingIndeed.com & Dat KiD K.I. had the pleasure of interviewing the ever so talented R&B singer Elisha Ward. It is clear that Elisha Ward has the perfect team backing her. Back 2 Back Entertainment is making moves. TheKingIndeed.com & Dat KiD K.I. interviewed the ever so talented producer CJ the Great. Discussing his road to success as CJ the Great breaks down why other beat makers are trash. TheKingIndeed.com interviewed the Beard Whisperer and Dat KiD K.I. got to the Nitty Gritty in regards to why is his BEARD so important? TheKingIndeed.com interviewed MeccaGodzilla of Manafest Vision Media LLC and Dat KiD K.I. was taken back by his humbleness. MeccaGodzilla thoroughly explains the importance of marketing, branding and traveling overseas for an artist. TheKingIndeed.com & Dat KiD K.I. ran into Kevan Abrahams whom is Nassau County’s legislator. Kevan Abrahams is running for the 4th Congressional district. Kevan explains why he is the man for the job in Congress. TheKingIndeed.com & Dat KiD K.I. caught the exclusive interview of Dat KiD K.I. interviewing the Japanese sensation herself, the one and only, extremely talented Mio Soul from Manafest Vision Media. TheKingIndeed.com & Dat KiD K.I. sat down with Arden “Keyz” Altino at the Famous PLATINUM SOUND recording studios. TheKingIndeed.com & Dat KiD K.I. feels BLESSED to have been able to get an exclusive interview from Minister Eric Hines from the church GOOD NEWS FAITH TABERNACLE. TheKingIndeed.com & Dat KiD K.I. was able to chop it up with up & coming Hip Hop Star Queens native YUNG FLiiBOY. TheKingIndeed.com & Dat KiD K.I. caught up with Long Island’s Super Rap Group LIPAA. LIPAA thoroughly explains their GRIND & why they don’t need an Industry DEAL!!! TheKingIndeed.com & Dat KiD K.I. was honored to interview NMG‘s front man Comatoze himself. Comatoze literally covered every topic possible regarding his Grind & why him and his Team are unstoppable. TheKingIndeed.com & Dat KiD K.I. was able to catch up with LHHNY‘s “Bad Guy” Mr Peter Gunz himself. Gunz did not hold back when it came to the discussion of the 2 women that he loves. TheKingIndeed.com & Dat KiD K.I. caught up with LHHATL‘s grinder Benzino. “Zino Grigio” discusses his long time relationship with Zoes (Haitians) & his peaceful journey while having fun at Fight Klub studio in NYC.